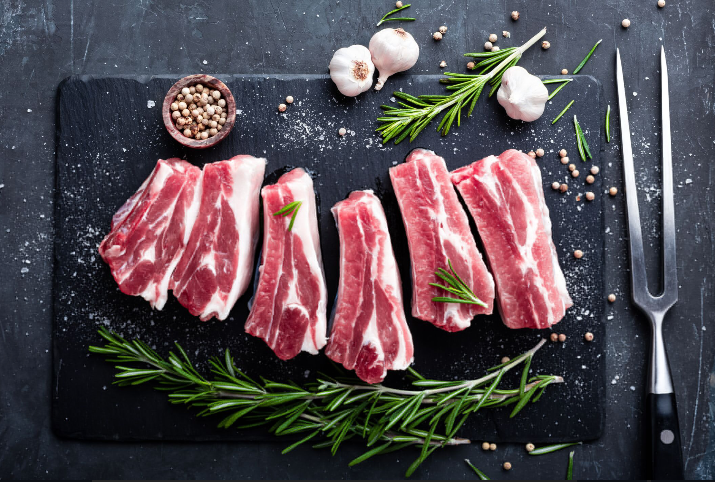 There are reports saying that China beef market has been in short supply, as more and more people began to pursue a higher level of dietary requirements. By the end of September, US beef exports to China reached about a thousand metric tons for a total of $12.5 million since the export ban was lifted in May, according to the US Meat Export Federation. The country potentially represents a $2.6 billion market for US beef products, leaving US exports a lot of room for growth. Industry experts, however, attribute the slow growth to two major factors: short supply and hefty prices. Beef exported to China must meet stringent requirements, including no growth hormones. Currently, supplies meeting those requirements are rather small, and raising cattle that meet those standards takes about two years starting with a calf, said Pete Bonds, a rancher in Saginaw, Texas, and a past-president of the Texas and Southwestern Cattle Raisers Association. Bonds said that while it takes time to develop China-specific beef products, meeting the Chinese requirement also increases costs. "We hoped to be able to export a lot of beef to China's middle class, but by not using growth hormones the price will be prohibitive. Currently most US beef is sold only in major cities like Shanghai and Beijing," Bonds said. USDA Prime rib eye sells for nearly $60 a pound in Shanghai, according to media reports. "It's more a luxury item in China, instead of being a daily protein source for the Chinese," said Bonds. However, Chinese are quite partial to US beef due to its remarkable marble cut. "The rest of the world produces grass (fed) beef, we have the luxury of feeding cattle with corn for 150-180 days to produce marbled beef. US beef is juicier, more tender and more delicious," said Bonds. He said recent studies show that marble fat is healthier than fat from other part of the cattle, akin to olive oil. S&S AgriSource, a Houston based company exporting beef to China, is testing the market. It has been exporting beef from South America to China and is utilizing its available distribution network to gain a market share for US beef. "We do see high enthusiasm for US beef from China, many are interested," said Jane Shi, a purchasing specialist at S&S AgriSource. "We have quoted prices to distributors in China. Due to the high price, they haven't made up their mind to issue the order yet, but we are close to making some deals." Shi said compared to the beef the company exports to China from South America, US beef is three to four times more expensive. "US beef is delicious but how many are willing to pay the price? We have to find out," said Shi. With China's large size, the potential is irresistible despite the hefty price. S&S AgriSource has partnered with a Texas farm to raise a few head of cattle meeting China's requirement. They want to be ready when the market blooms. Bonds runs several thousand calves in the China program on his ranch. When feedyards buy calves from him, they have the option of choosing to stay in the China program or not. While many local ranchers are still waiting to see how the China market will develop, Bonds does see more and more people going along with the China program. Although most of the Chinese people prefer American beef, perhaps in the near future, we will also be satisfied with the Chinese made beef.